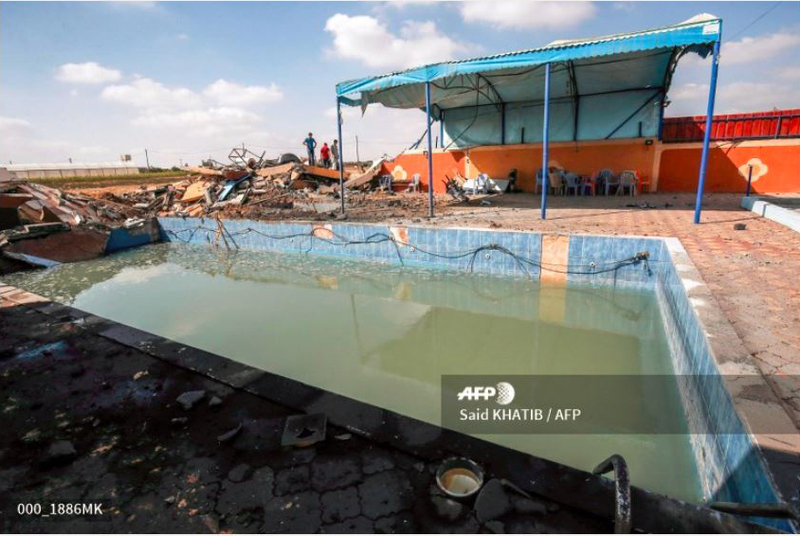 Agence France Presse photo captions today misidentify what Israel said is a training facility for Hamas’ naval commando unit as a “tourist resort.” The captions maintain that a “damaged swimming pool at a tourist resort” in the Gaza Strip’s Khan Yunis was hit in an Israeli airstrike. Israeli army spokesman Lt. Col. Jonathan Conricus confirmed to CAMERA that the pictured pool, targeted in an Israeli airstrike, is a training facility for Hamas’ commando unit. 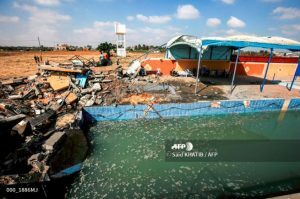 CAMERA called on AFP to either substantiate that Conricus is wrong and that the pool is indeed a tourist resort — for instance, what is it called, and what does it offer tourists besides a swimming pool with no landscaping — or to correct its captions. Stay tuned for an update.